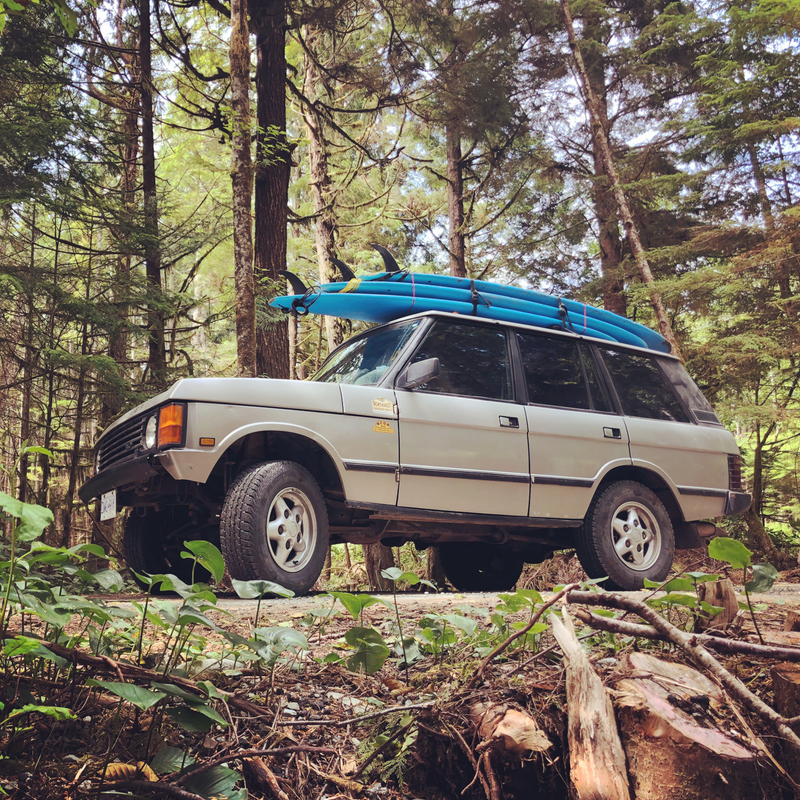 My 1988 Range Rover Classic is a work in progress, but I have been doing more overlanding trips with it: Tuktoyaktuk and Haida Gwaii last summer, Tofino and around the PNW this year, and a plan for Colorado next summer. I am lazy by nature and find shopping for ice a chore, so I decided it was time to bite the bullet and invest in a fridge. 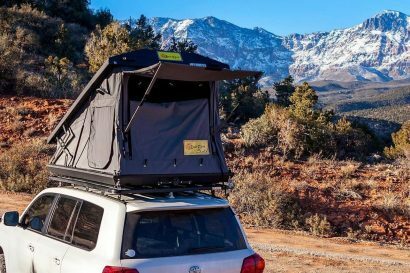 I’ve primarily tried ARB and National Luna fridges in the past, and never had a problem with them. 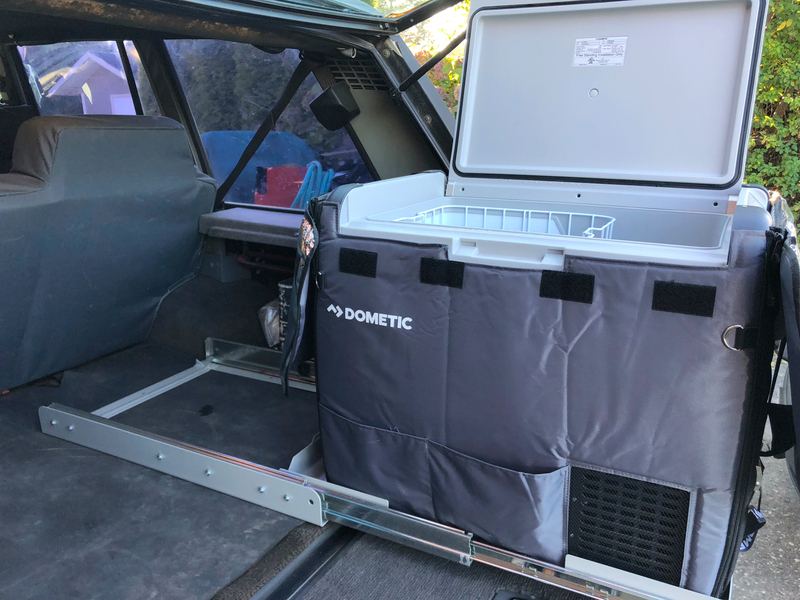 But I had been seeing and hearing a lot about the Dometic line of fridges; the reviews are good and the price is too, so I decided to give Dometic a go. And since I always say “go big or go home” (and we have three hungry teenagers) I decided to get the 65L model. When I looked at the CFX65W online, it didn’t look that big, but when it arrived at my home it was huge! It literally took up half of the available storage space in the back of my Range Rover. I also thought I was ordering the dual-zone fridge with the small separate freezer compartment, but I made a mistake and ordered the single-zone. Not wanting to admit defeat and exchange it, I decided to try it and see how it went. 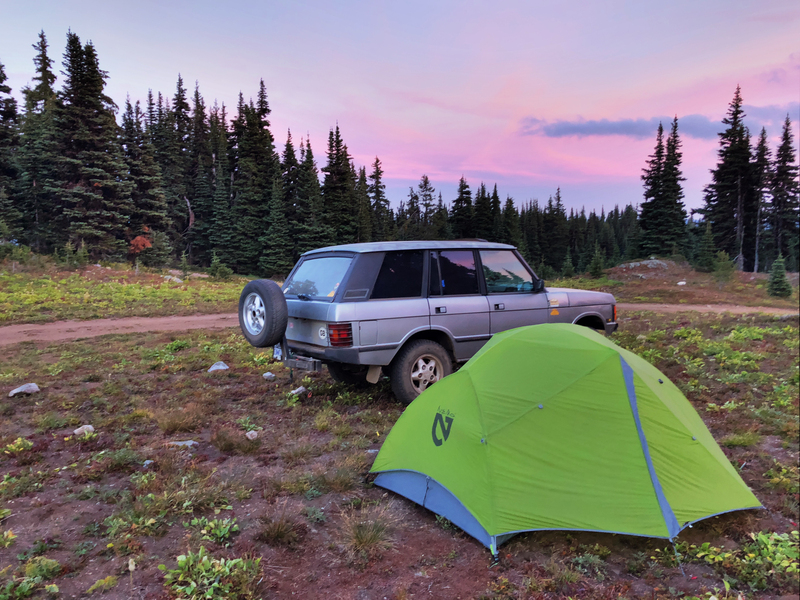 The first two trips we used it at were the Northwest Overland Rally in Washington State and the BC Overland Rally in Canada. Each of these events resulted in us setting up a static camp for three or four days at a time. 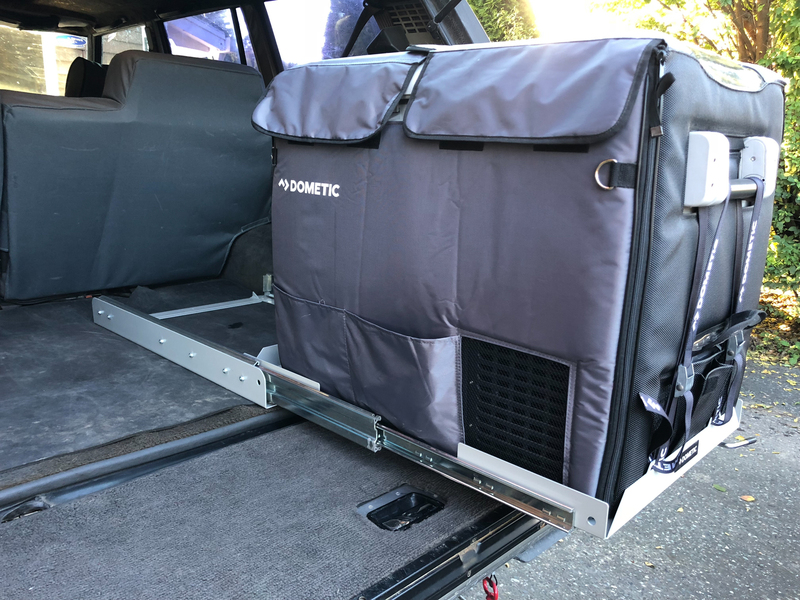 Using my flexible Overland Solar 120-watt, 12-volt solar panel I was able to easily chill all of the food, drinks, condiments etcetera that my family and I needed for each four-day event. The efficient way to prepare for a weekend away is to put the bulk of your food/drinks in the fridge in advance, and run it on 110 power (off an extension cord in your driveway) to get it all cold—it then acts as a cold-sink, so when you toss warm beers into the fridge on day two or three, the fridge doesn’t work so hard. 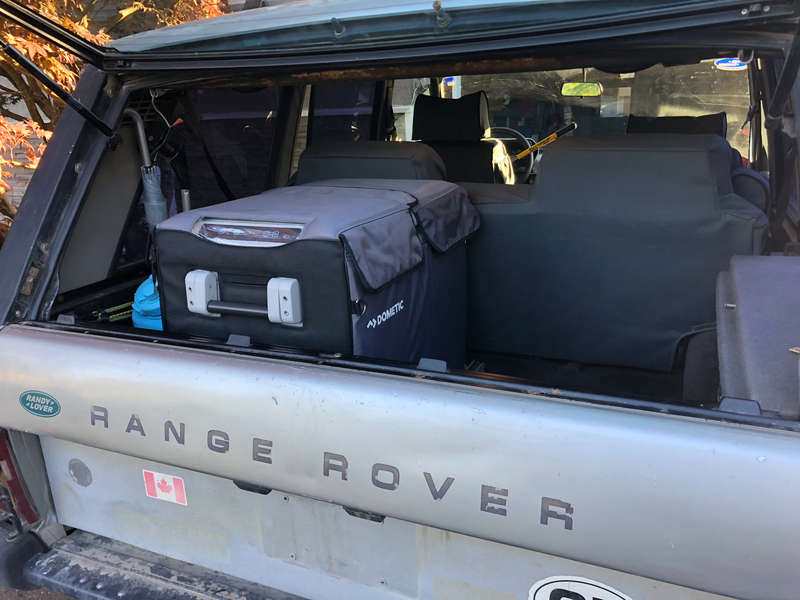 I didn’t bother to do that on my rally trips, and I was happy to see that the solar panel and fridge were able to handle the load when I just shoveled in a case or two of warm beer and groceries. 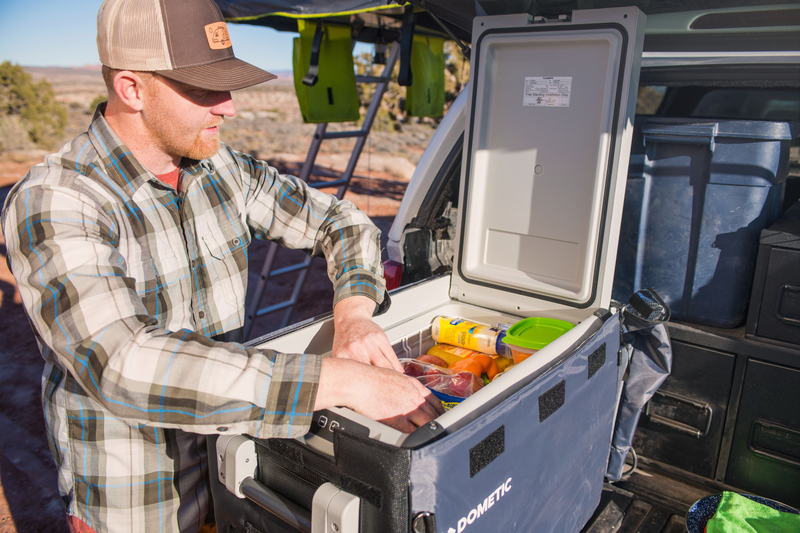 When I did a little research to find out why the fridge was able to handle this abuse, without killing my batteries, I discovered that the new Dometic fridges actually have quite a bit of technology going on under the surface. They use 55 millimeters (over 2 inches) of closed-cell polyurethane insulation for a high R-Value. That means if you bring the temp in the fridge down to 0°F (it will go as low as -7°F) and you turn it off, it will take 32 hours to come up to melting temperature. If it’s at the temperature you want, it will maintain that temperature. Going into standby mode, drawing no power, until the lid is opened or the internal temperature rises. Once that happens, the compressor will kick on and run until the target temperature is met. Over the average use, the power draw averages out to be less than 1ah per hour (1Ah/h). 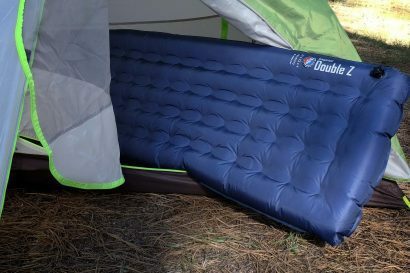 Throw a 100-watt solar panel in the mix, and you can stay put indefinitely. 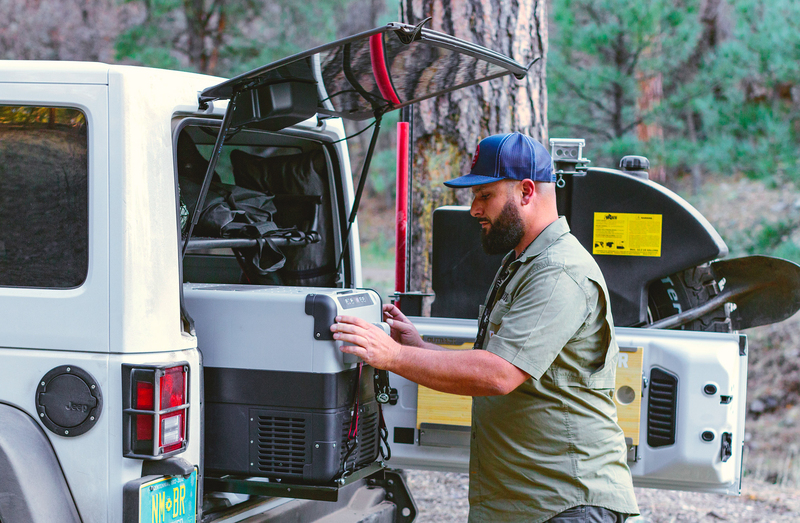 They also have something called Variable Motor Speed Optimization, which is a big way of saying the motor will slow down and only run as fast as it needs to. Some other fridges are basically on or off, so when the motor kicks in it’s running full blast, and then it’s off. If you think about the analogy of driving your car, driving as fast as possible between traffic lights and shutting the engine off while waiting for the green, you use a lot more fuel than if you just cruise along at a reasonable speed. The same basic principle is behind the Dometic approach. The third bit of technology that I really liked was the Wi-Fi app that synced the fridge with my phone. 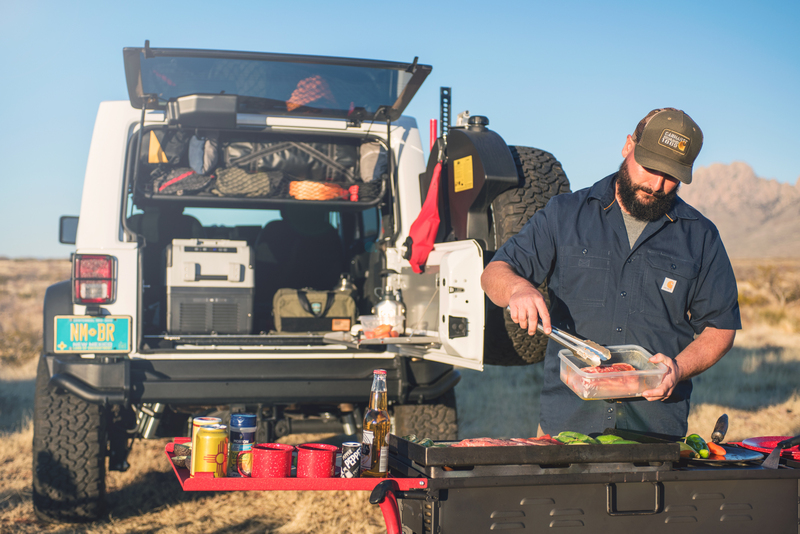 When I am cooking dinner or relaxing around camp, I enjoy some quiet background music, and I have a Bluetooth speaker that connects to my phone. Since the CFX fridges use Wi-Fi instead of Bluetooth to connect, I can listen to my favorite tunes on the speaker while still being connected to the fridge on Wi-Fi. The app is exactly what a good app should be: it has the features I need, and none that I don’t. I can also set the alarms and battery-power shutoff levels from my phone. 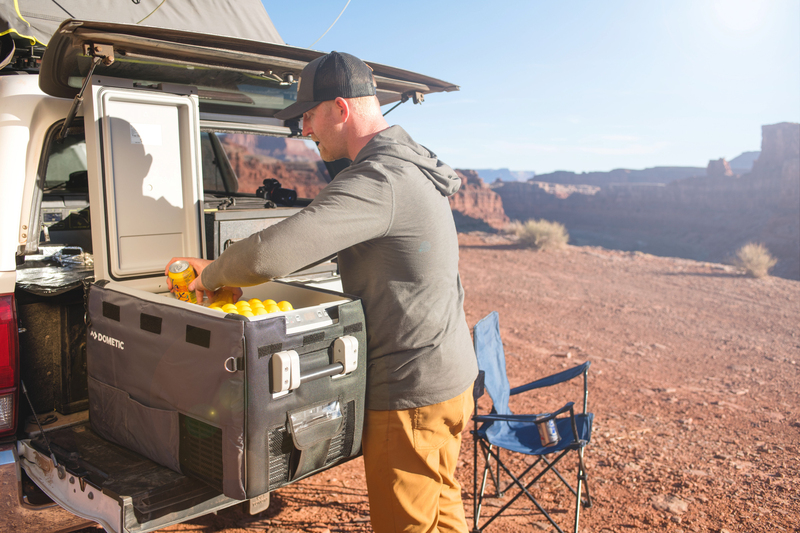 If I am camping in the winter, and I know it’s going to get really cold overnight, I can set the fridge to shutoff at a higher battery level than usual, so I know my battery is fresh and happy when I need to start the truck the following morning. On days when it’s hot outside, but I am camping on the beach in the sun for a few days, and I am running my solar power, I can be a bit more relaxed with my battery settings. 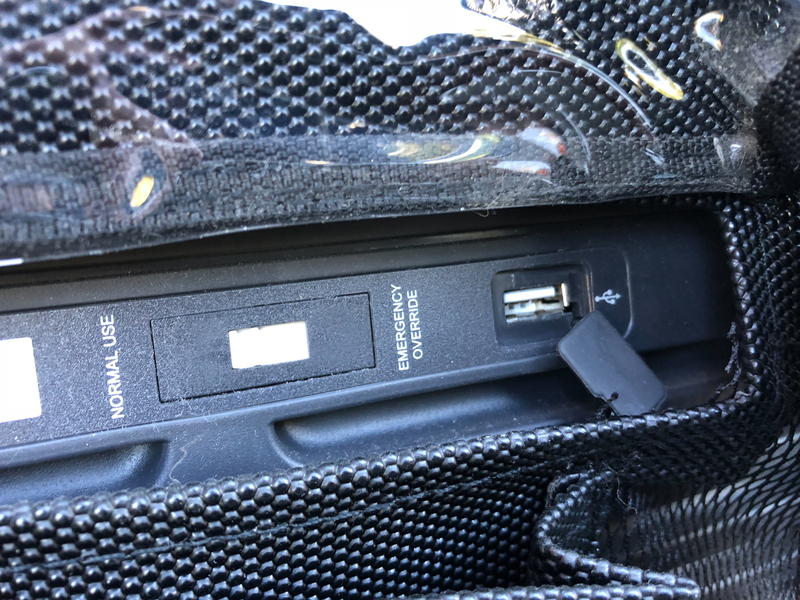 A nice bonus with the app is that if something else in my truck is drawing down power unexpectedly, (like a CPAP machine overnight, or kids charging RC cars or drones at the campsite) the battery alarm in the app will let me know before we have a problem. One of the things I like to do when we are on a long trip is to make fun cocktails in the evenings at the campsite. Since my CFX65W is a single-zone fridge, at first I was concerned because I would not have a separate compartment to make ice, a critical ingredient in cocktails. But luckily, I randomly came across a post on ExPo where the author mentioned putting ice cubes into an insulated growler, putting said growler into the fridge, and presto, the ice would last for roughly a week. I tried that and it worked! Yay, margaritas for everyone! 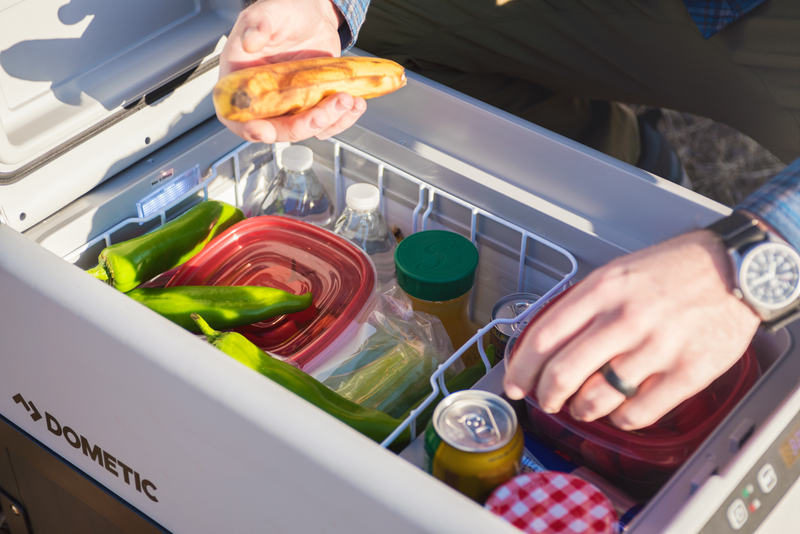 The other thing I discovered after using the huge fridge on a few trips, including a week-long trip to surfing camp at Tofino on the west coast of Vancouver Island, is that with so much space I no longer need to choose what goes in the fridge and what goes into dry storage. I just toss all of my food into the fridge including sealed or canned items if I have them. Having all of my food in one space actually makes meal times really easy since I am no longer digging through separate drawers and boxes looking for the various ingredients I need for a meal. I also don’t need to worry about buying a full-size bottle of ketchup, or a 2-liter bottle of Coke if that’s all that is available at the local store; the fridge swallows it up and I can easily take any leftovers home. Speaking of home, when I’m not on the road I didn’t want to leave the fridge in the back of my truck. My neighborhood can be a little sketchy sometimes, and although it’s unlikely somebody would jimmy the car door and try to run down the street with my giant fridge on his shoulder, I didn’t feel like testing that theory. The obvious choice would be to keep the fridge in the garage until the next trip, but after the rallies, we had a birthday party coming up and needed a place to put drinks, so I tossed the fridge in a corner in the kitchen and plugged it in using the 110-volt cord. It swallowed all of the party preparations and later swallowed all the leftovers. As we have subsequently discovered, it will easily take a giant 25-pound Thanksgiving turkey, a half dozen bottles of wine, a pumpkin pie, and all the various trimmings. Or, when it was sockeye season, I switched it to freezer mode and was able to toss a half dozen 10-pound salmon inside. Above: Yes, that is a 25-pound turkey. So, after four months with the Dometic CFX65W, how do I find it? Honestly, I can’t really imagine life without it. No longer do I need to create a Tetris plan for foodstuff in the back of my little Range Rover. No longer do we deal with the ice-food slurry in a cooler after a few days on the trail. 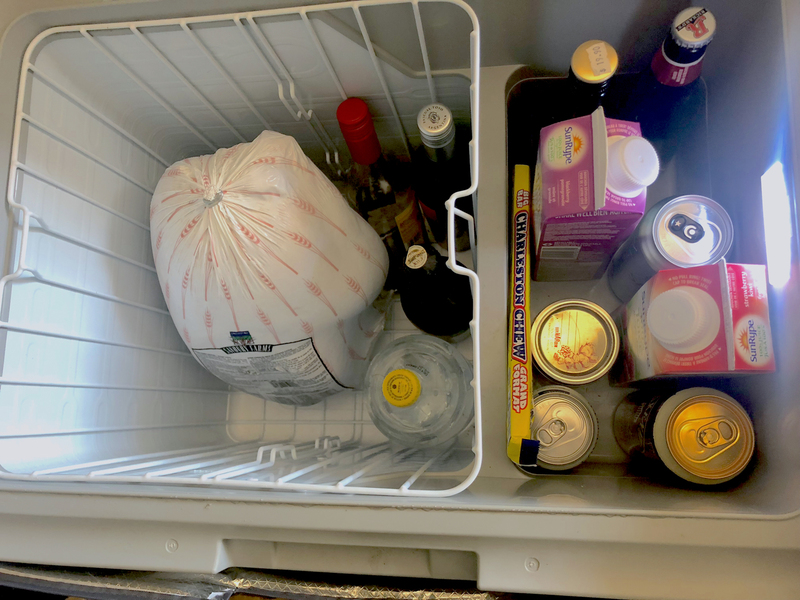 No longer do we need to eat most of the contents of our regular kitchen fridge before we can go shopping for the ingredients of a festive Thanksgiving or Christmas meal. And the greatest endorsement of all? 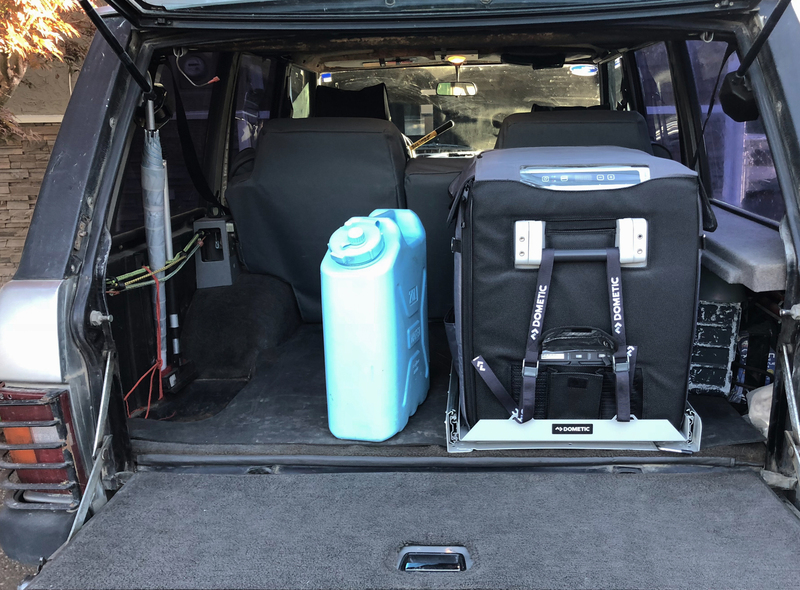 My minimalist wife, she who has long scoffed at my overland gear fetish, casually said the other day while we were cooking together in the kitchen, “I’m glad you brought home this fridge, I find it really useful.” High praise indeed.